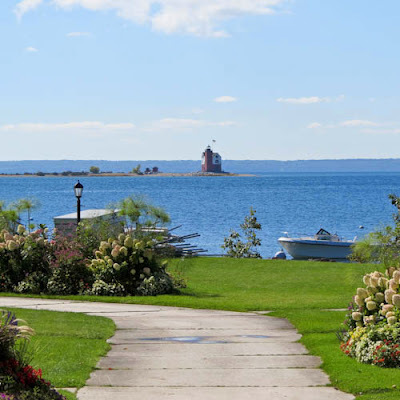 Mackinac Island is one of the most popular places to visit in Michigan. Each day tourists board the ferries that take them from either Mackinac City or St. Ignace to spend some time on this beautiful island. As you approach the island the ferry passes a charming little lighthouse called Round Island Lighthouse. 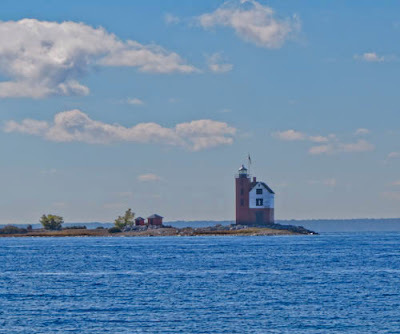 Here you see a photograph of the lighthouse as we passed by it on the ferry. 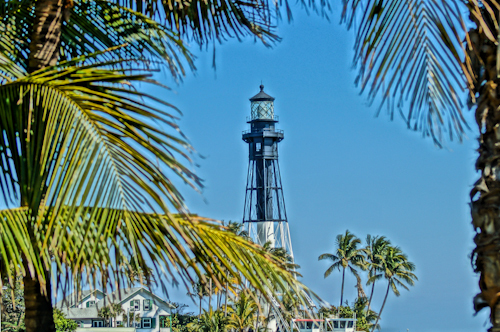 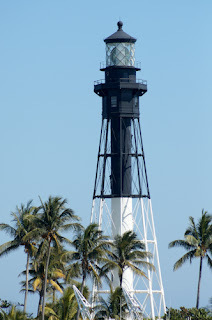 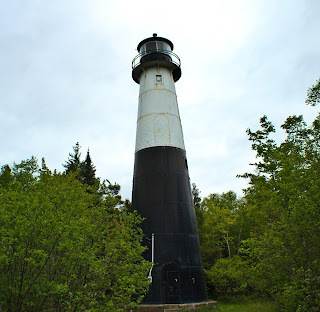 This lighthouse was built in 1895 and has been kept in shape by a major renovation project in the 1980's. 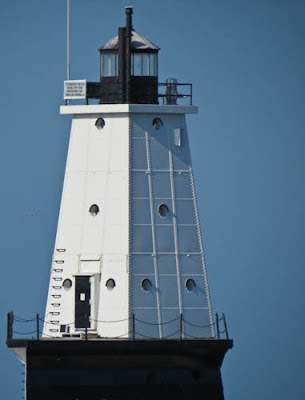 It is only reachable by boat in the summer or snowmobile in the winter months, however I found that with a good telephoto lens it can be viewed and photographed from several spots on the island. 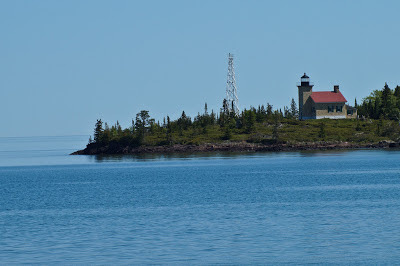 My first view of it was on the ferry, but the ferry was moving and I had to be quick to get this photo. 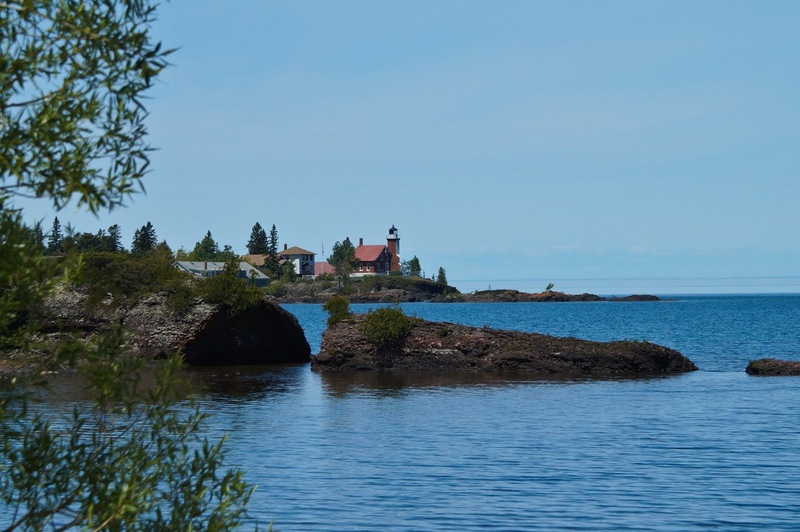 After the ferry landed, I walked on the Main street to the left on the island and was able to get this view from the shoreline. 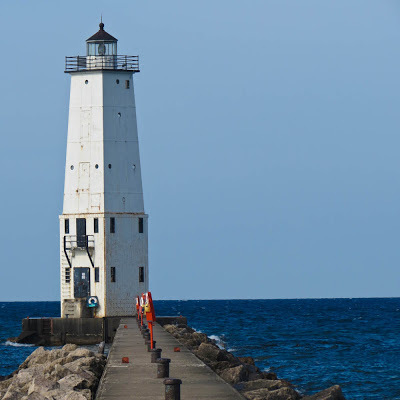 Later in the day we were walking along the shoreline in the other direction and as the shore makes a curve back toward the dock, I found that I could get another view of the lighthouse. I was a bit further away this time but with a 300mm lens, I was able to capture this photo. 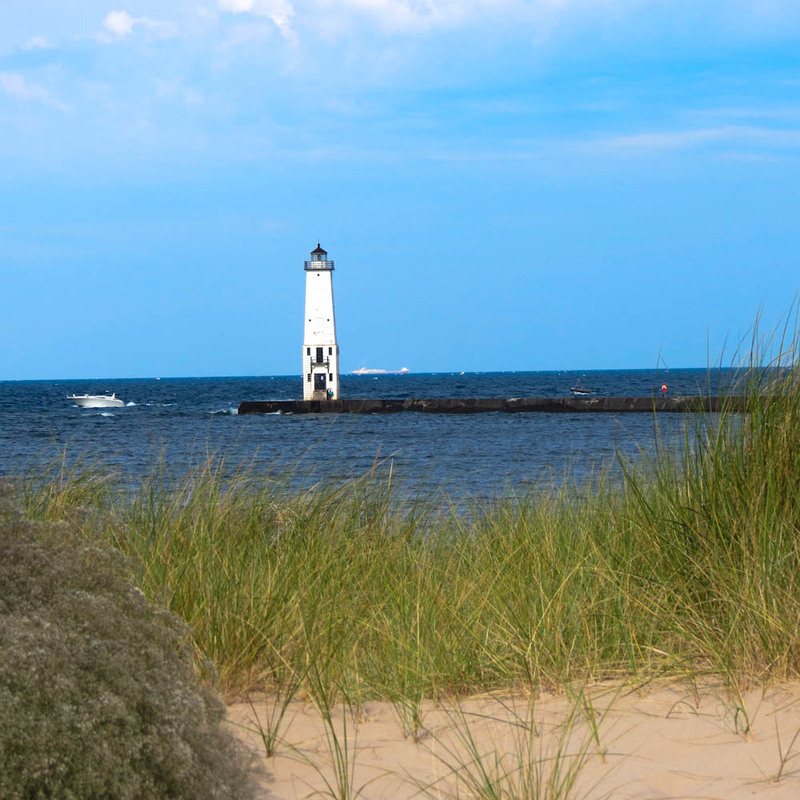 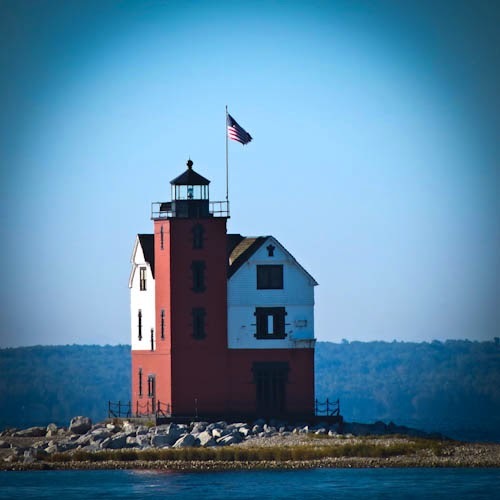 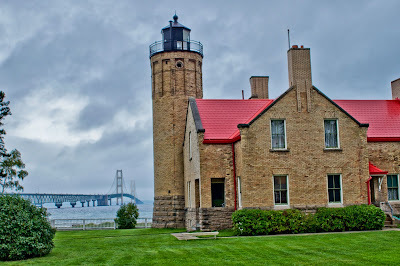 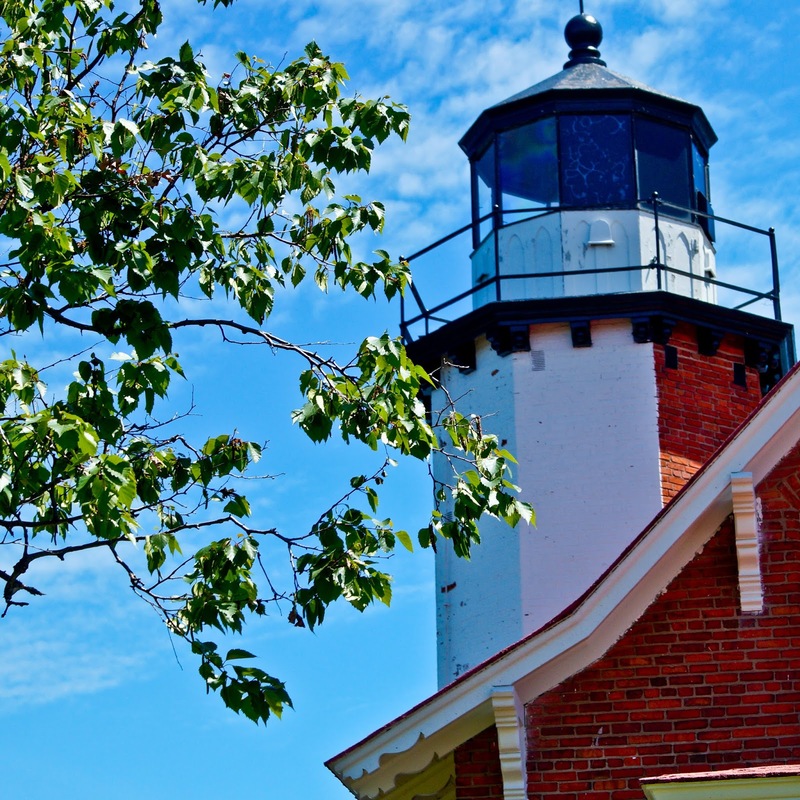 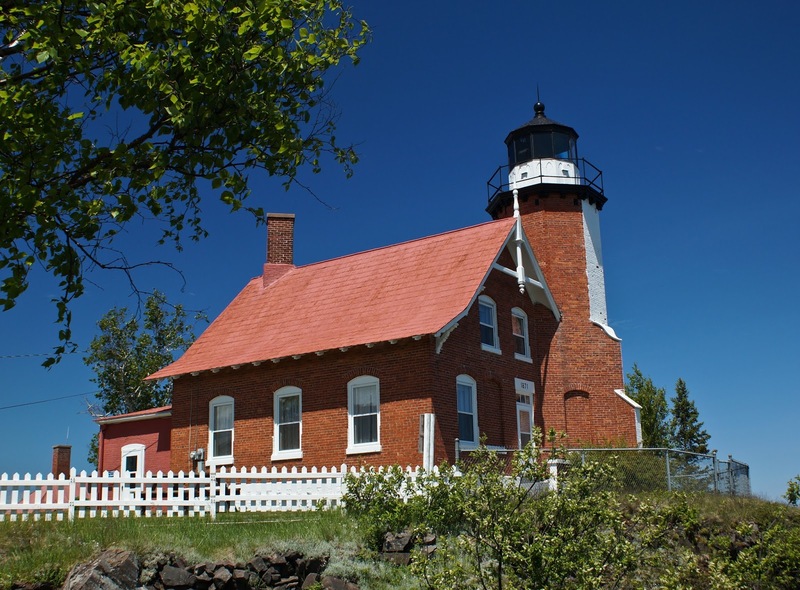 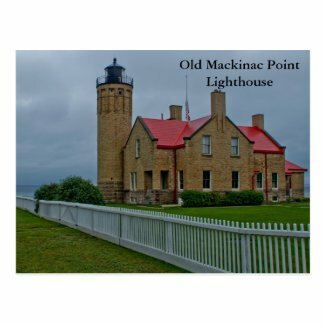 This historic lighthouse is found in Mackinaw City just before you cross the Mackinac Bridge to the Upper Peninsula of Michigan. 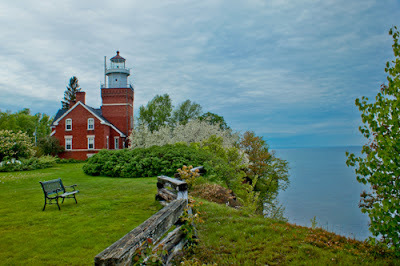 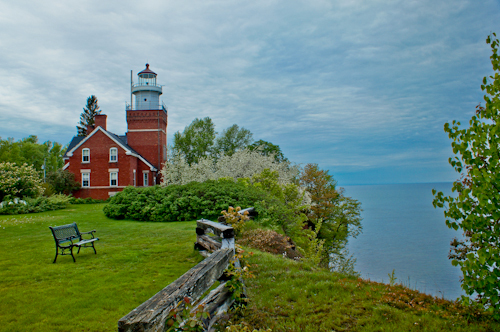 The lighthouse has been in operation since 1889, guiding ships through the waters of the Straits of Mackinac where Lake Michigan and Lake Huron meet. 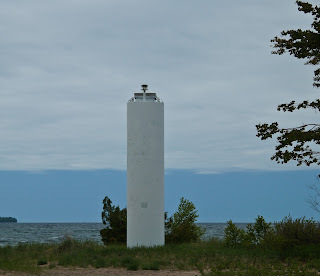 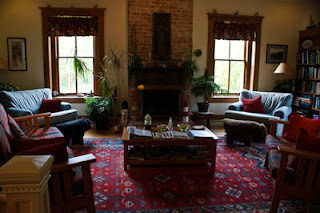 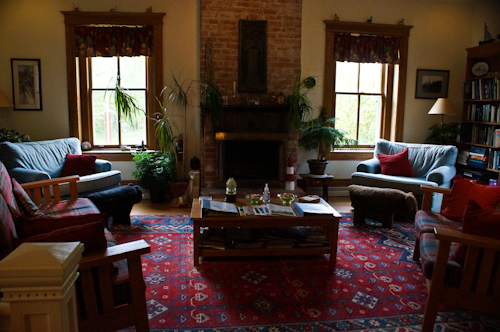 When we visited in September of 2013, it was a cloudy and misty day. 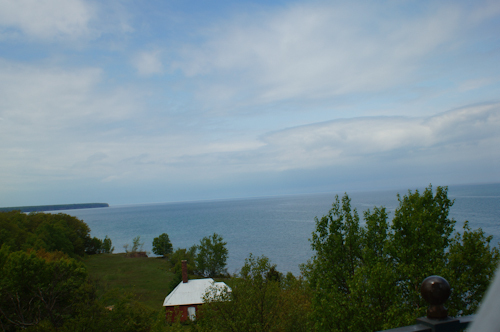 You can see in the photo above I was able to capture just a portion of the 5 mile Mackinac Bridge in the background. 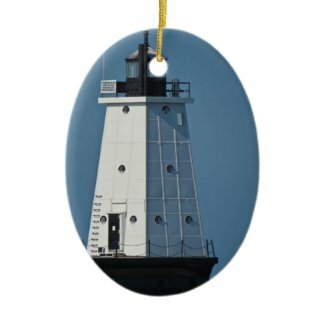 The rest of the bridge disappeared into the misty fog. 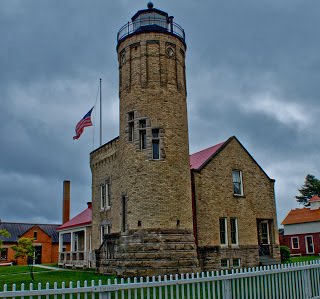 In researching a bit about the lighthouse, I found that it served to guide ships for over 65 years through the dangerous waters. In 1957 it was decommissioned. 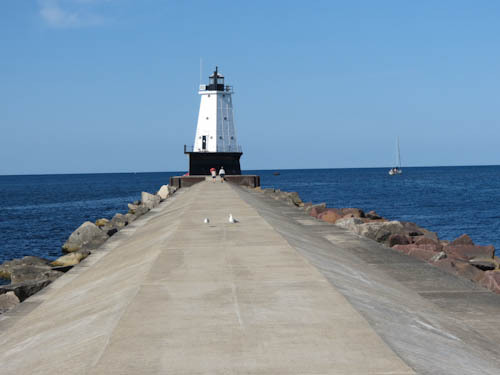 It was no longer needed because the lights on the newly constructed bridge served to guide the ships. 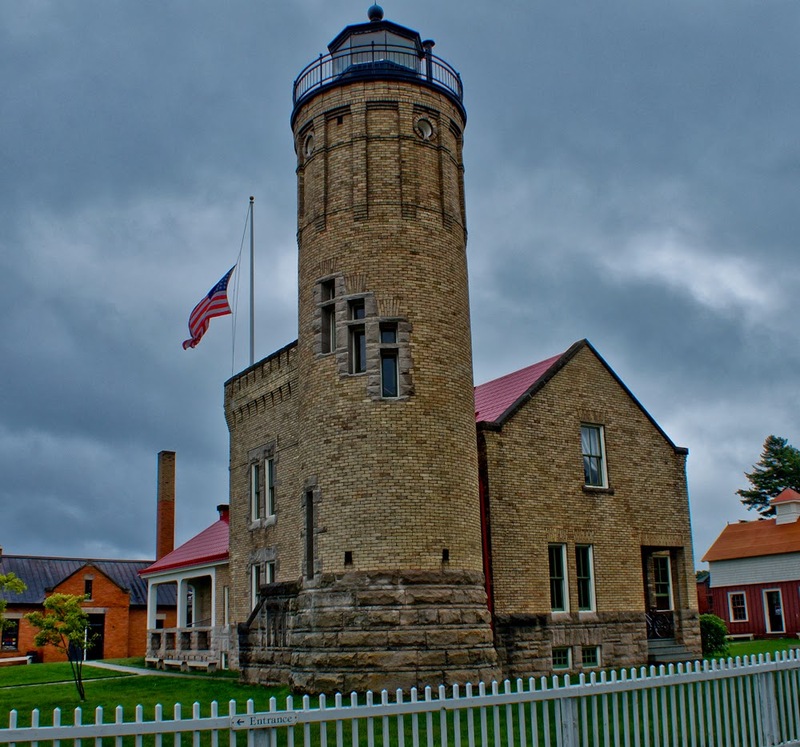 Today visitors can tour the lighthouse and visit the exhibits to get a feel for the importance this lighthouse played in the history of the shipping industry. I have photographed many lighthouses and this one has a very distinctive look and feel to it. 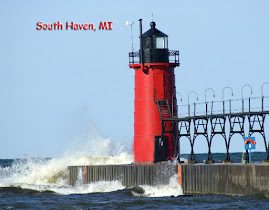 I love the brick work on the tower. 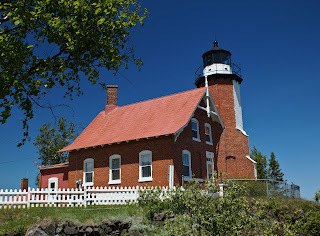 Here is a photo I took from the water side.